When looking for the ultimate at-home convenience, it's time to add a remote for your window shades to your collection. If you're the one in the family who usually has the TV remote firmly in hand – or at least right at your side – you'll take to remote control shades with ease. For the very same reason you love the TV remote, you'll love remote control shades: all you have to do is touch a button and the object at your command instantly complies with your request. In a world increasingly defined by the convenience factor, remote control shades are the ultimate tool of convenience. 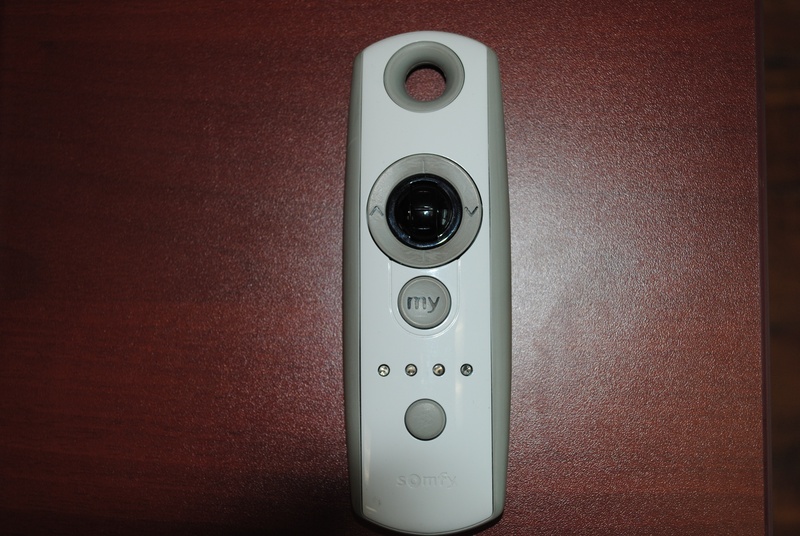 Plus, if you install Somfy's myLink™ app on your mobile device, you can operate your remote control shades from your couch, from work or even from out of state. The simple-to-install app also allows you to place your shades on an opening and closing schedule – ideal for the seasonal changes of outdoor light. Enhanced security, especially if they are set on a timer to open and close when you're not home. A would-be burglar scoping out your home will see the shades open and close at random times – and assume your lived-in home is not worth his trouble. They save you money on your energy bill because they cover one of the biggest energy drains in your home: your windows. "On a hot day, more energy seeps through 1 square foot of glass than through an entire insulated wall," the U.S. Department of Energy says. A sensor installed on remote control shades can trigger them to close when the sun is casting its brightest rays in your direction. Ideal for tall and difficult-to-reach windows, such as those in foyers or two-story family and living rooms. It's easy to give up on these windows and leave them uncovered; you couldn't even reach them even with a step stool. Remote control shades offer a practical solution to a vexing design problem. They are streamlined and elegant because they eliminate the need for cords, which at the least can be unsightly and at the worst, dangerous, especially for young children and pets. You can keep your TV remote exactly where it is. But after you call 702-260-6110 for a free in-home window shade consultation from Polar Shades, you'll want to add one more remote to your collection: the one that operates your new remote control shades.